Breast cancer is a devastating disease for women. Patients undergoing mastectomy (breast removal) are good candidates for immediate breast reconstruction at ReNova Plastic Surgery in Pittsburgh, PA. Delayed breast reconstruction can be done if the breast was not reconstructed at the time of the mastectomy. The breast reconstruction procedure is performed under general anesthesia and it is usually completed in 4 to 6 hours. Trust your breast reconstruction procedure to the best-reviewed plastic surgeon in Pittsburgh. 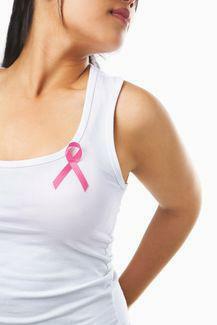 Breast reconstruction is the re-creation of your breast after removal due to cancer treatment. There are multiple methods to recreate the breast, including implants or your own tissue. The procedure is done in a hospital under general anesthesia. The duration of the procedure is about two and a half to three and a half hours. It is done as an inpatient procedure with an overnight stay. You will be advised of your options during your consultation. Yes, they are. Silicone implants are one of the more highly studied medical technologies. Between 1992 and November 2006, silicone breast implants were banned for cosmetic use while the FDA gathered information regarding their safety. The only patients who received silicone implants during this time were reconstructive patients and those with problems such as capsular contracture and breast asymmetry. These patients were required to enroll in a study where they were followed for 5 years after the operation. At the end of the study, the FDA concluded that: “silicone breast implants did not cause any kind of disease.” Studies showed that there was no greater incidence of any type of disease in women with silicone breast implants compared to the general female population. Silicone implants were determined to be medically safe. What is the post-op recovery like?